The Gagans have always wanted a child, and were on their third pregnancy after two miscarriages. However, Baby Derek was born on 8 May 2017 prematurely at 28 weeks and is currently in a neo-natal intensive care unit. 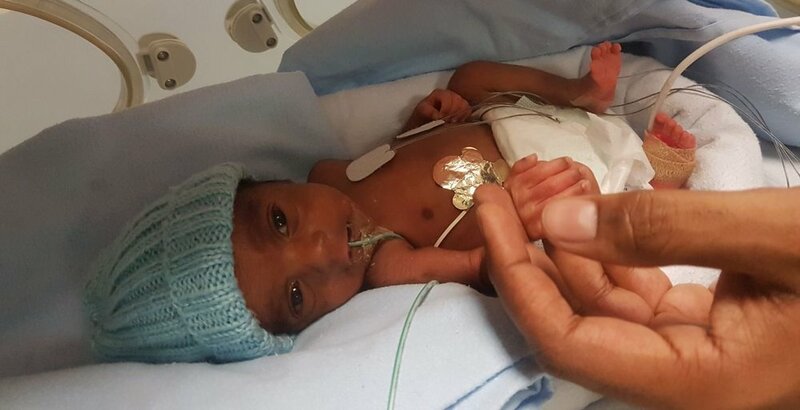 While the couple has been supported by family, friends, colleagues and the medical team at KKH, they still need S$150,000 to meet the rising medical bills to incubate their newborn, and to finally bring him home. 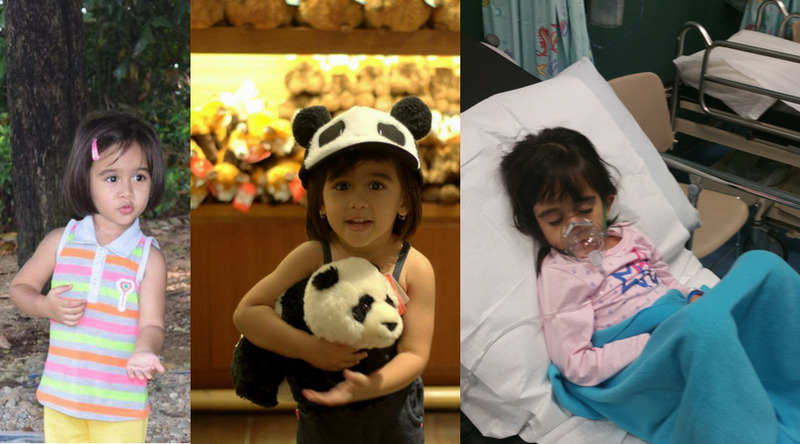 Four-year-old Aahna is currently fighting for her life in KK Children's Hospital. She was found to be suffering from a very rare Type-3 PPB Lung Cancer, a form of cancer so rare that there have been less than 50 known cases. While doctors have managed to remove 95% of her 17cm by 10cm tumour that took up most of her lung space, there are now post-surgery complications and internal bleeding. Her family will have to pay for Aahna's hospital bill out of pocket, which is currently at S$250,000 and is estimated to increase to S$500,000. While most 20-year-olds pursue their education or spend their free time hanging out with friends, Nurul works as a full-time waitress to earn enough money to support her family of 13, including her terminally ill father. Her mother left their family when she was young; she alone is putting her younger siblings through school and feeding the family. Her salary of S$1,500 is not enough; they have been surviving on rations and some help from social services, but they need more to make ends meet. While she does not have a fundraising target, anything you can give will go a long way. 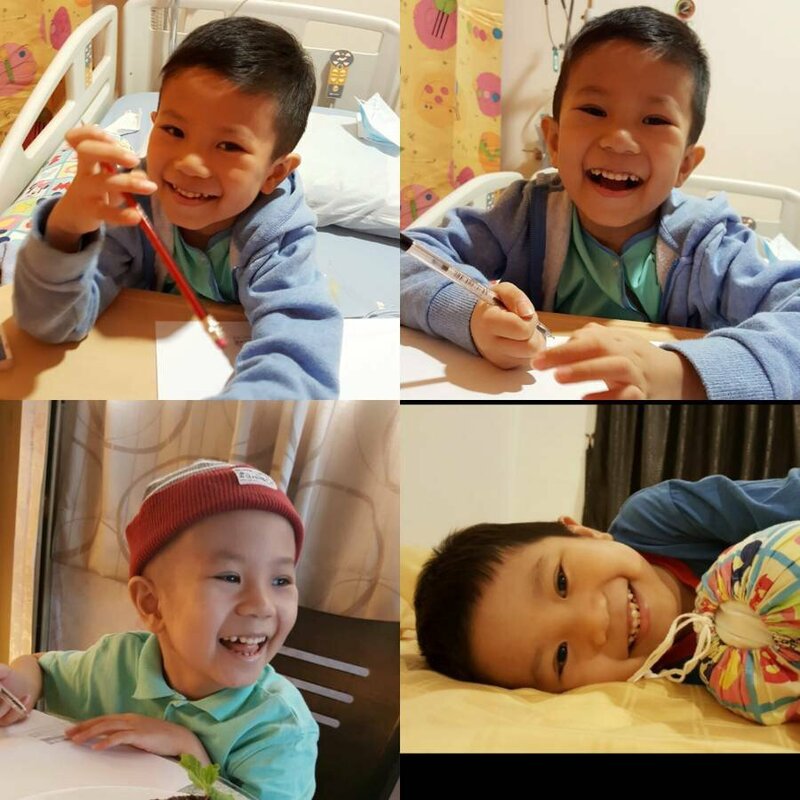 5-year-old ZhenXi was diagnosed with Neuroblastoma Stage 4 Cancer in 2016 with a large tumour of about 12cm growth on his abdomen, that was spreading to his lymph, liver, bone and his bone marrow. Since then he has been fighting his way through numerous chemotherapy treatments, but his latest MRI scan (March 2017) showed that the tumour has grown bigger and the cancer has spread. So far, the family has spent S$230,000 on medical bills, and foresee another S$300,000 for ongoing treatment. 6-month-old Baby Karen suffers from a mitochondrial disease that affects the brain stem. Ever since she was a month old, she has been in and out of hospitals, her parents desperate to find a cure. 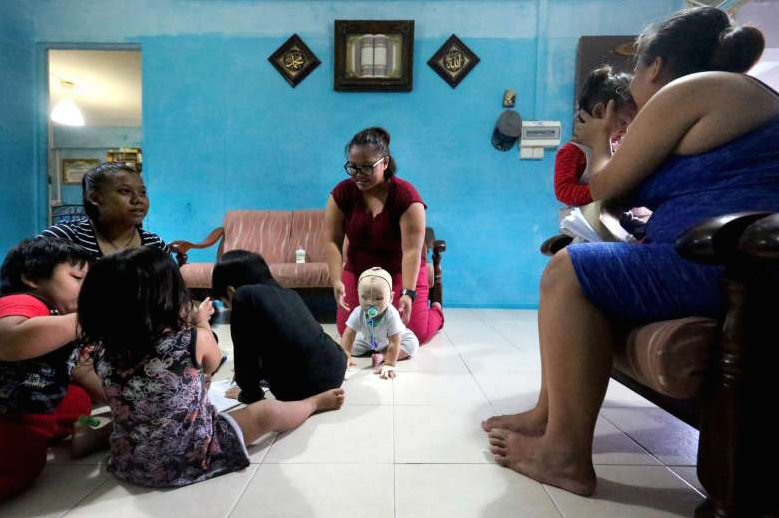 Costs have skyrocketed in Singapore, and doctors have suggested that Baby Karen continue her treatment in Indonesia, where costs will be much lower for the family. 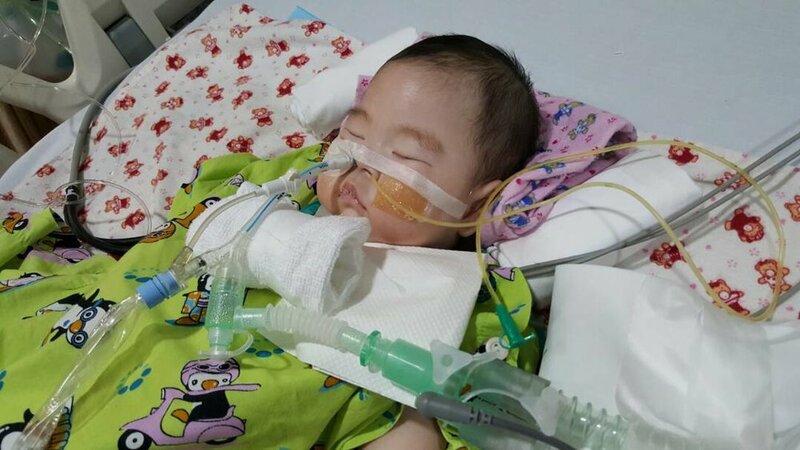 But to get there in the first place will require an air ambulance to transport her - this will cost an additional US$20,000 on top of the S$130,000 that her treatment is already costing.